Vane Brothers operates two articulated tug and barge units (AT/B) that rise more than seven stories high when floating light. 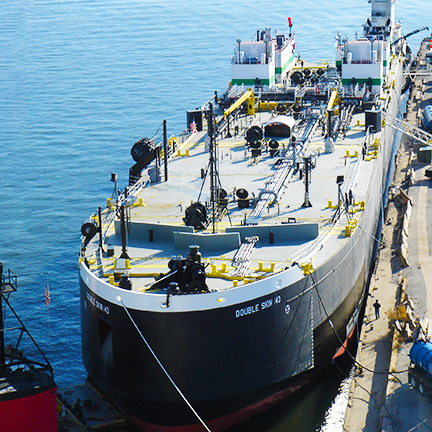 The 6,000-horsepower tugs and 140,000-barrel tank barges were built specifically to serve our coastwide customer base in transporting petroleum products from New England to the Gulf of Mexico. Articulated tug and barge (AT/B) Brandywine and Double Skin 141 were built in 2006 by the Manitowoc Marine Group, owners of both Marinette Marine Corporation in Marinette, Wisconsin and Bay Shipbuilding Company in Sturgeon Bay, Wisconsin. Together, at nearly 600’ in length, the Brandywine and DS-141 make up Vane’s first AT/B. Articulated tug and barge (AT/B) Christiana and Double Skin 143 were built in 2007 by the Manitowoc Marine Group, owners of both Marinette Marine Corporation in Marinette, Wisconsin and Bay Shipbuilding Company in Sturgeon Bay, Wisconsin. 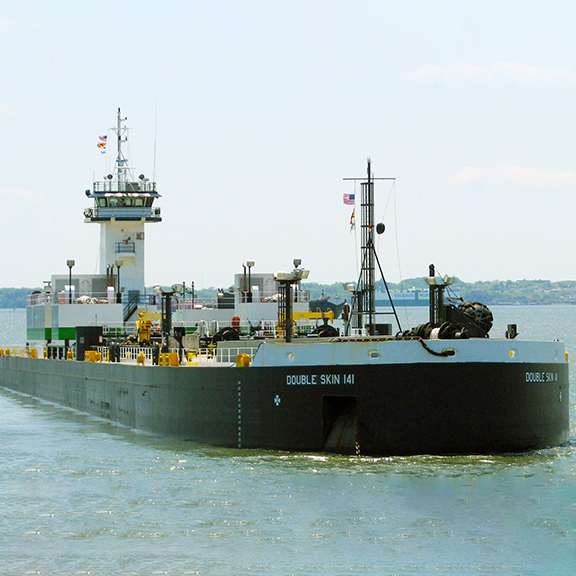 At nearly 600’ in length together, the Christiana and DS-143 comprise Vane’s second AT/B. 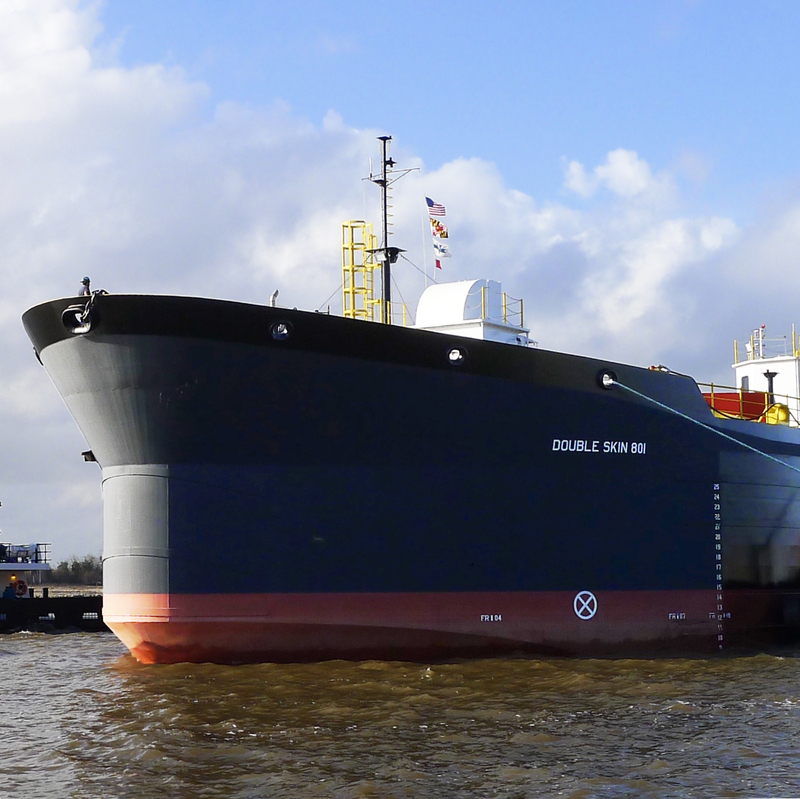 Paired with the 4,400-horsepower tugboat Assateague as an Articulated Tug and Barge (AT/B) unit, the Double Skin 801 is a 405-foot-long, 74-foot-wide barge designed by Bristol Harbor Group and built at Conrad’s Amelia, Louisiana, yard.